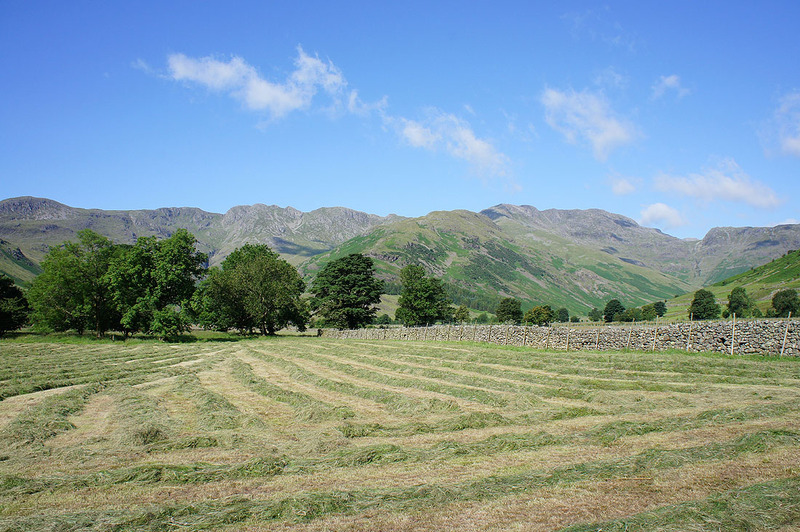 After parking at the NT Stickle Barn car park I made my way up the road past the ODG and then past Wall End Farm before taking the path up to Pike o'Blisco. 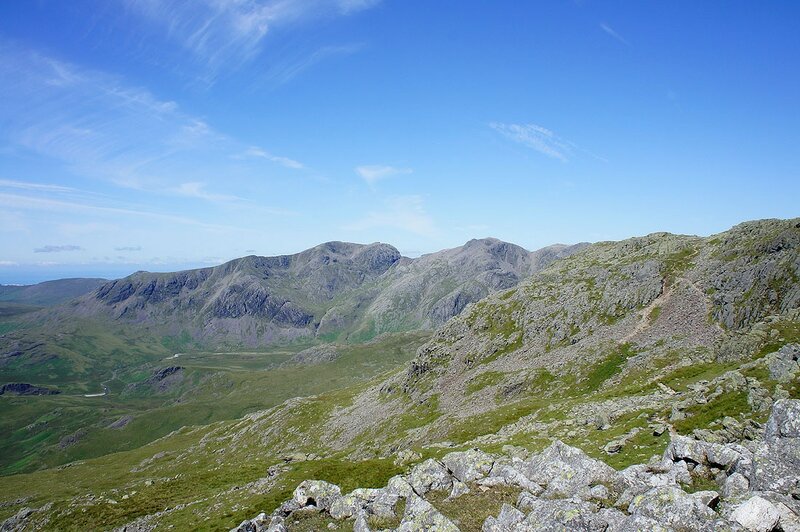 From there I made my way down to Red Tarn and then did the traverse of the Crinkle Crags. 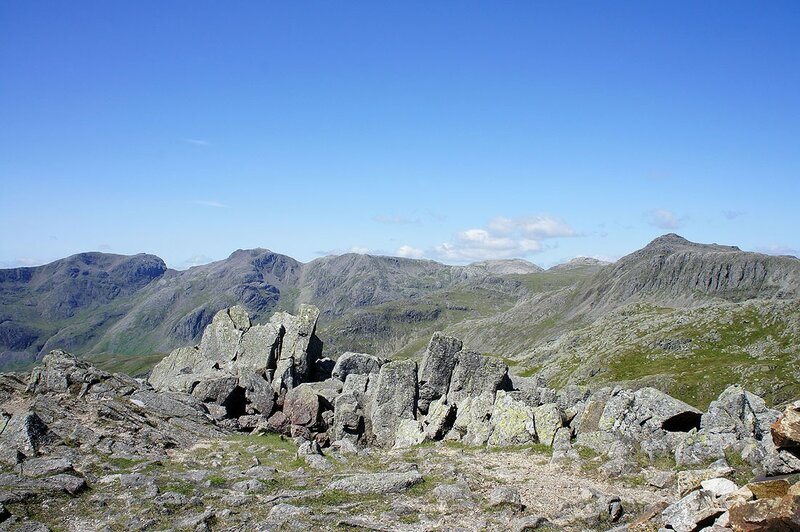 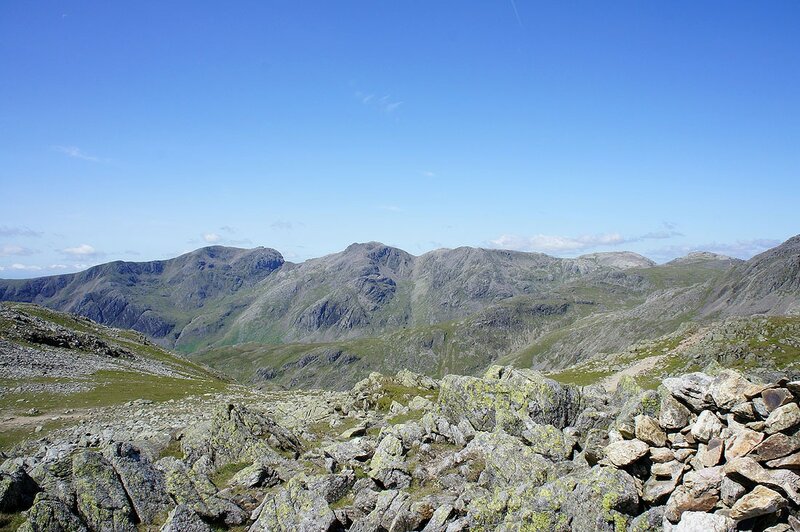 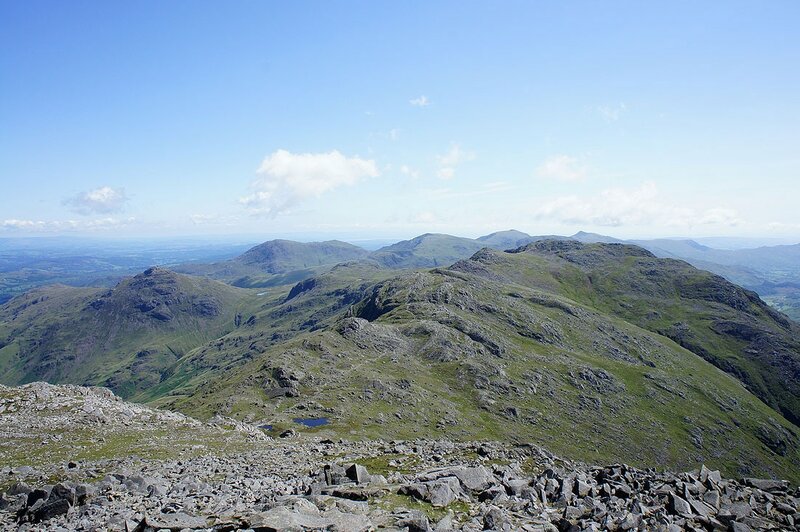 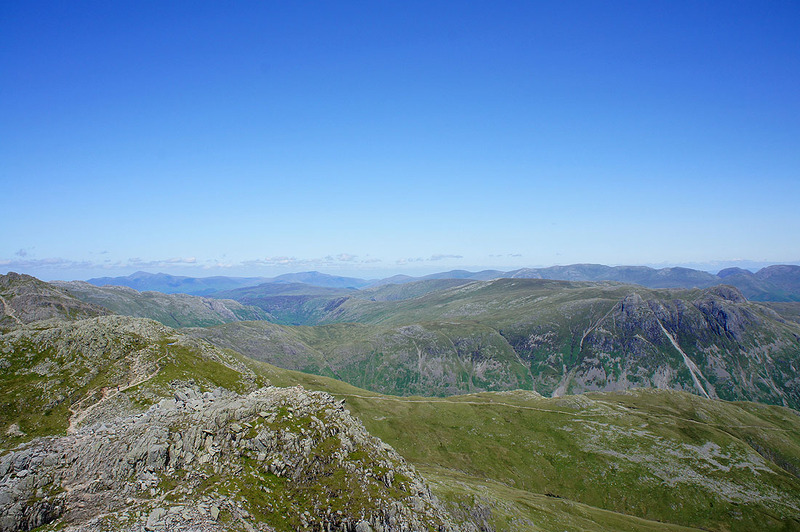 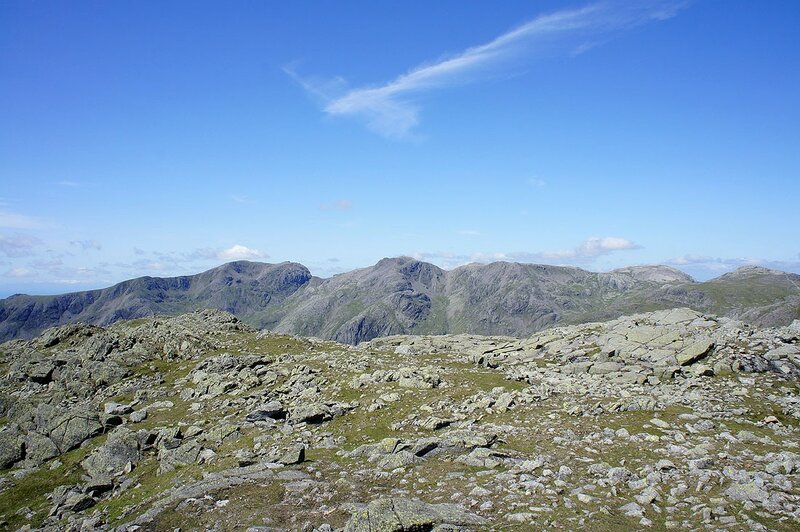 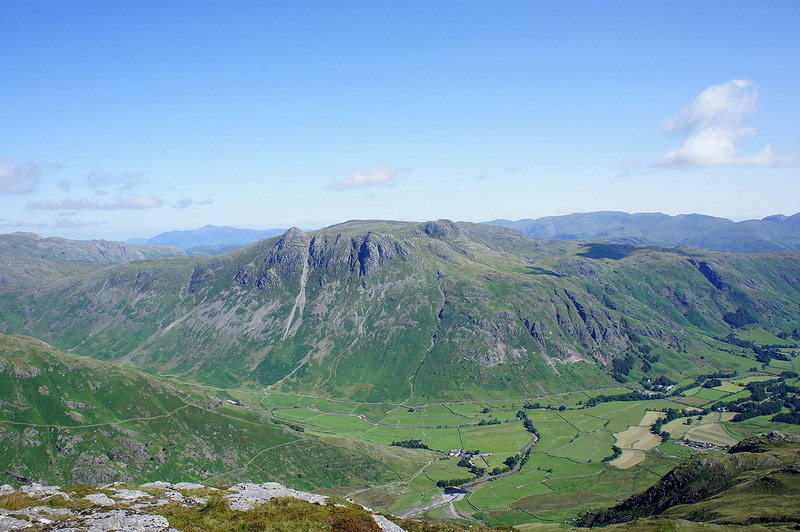 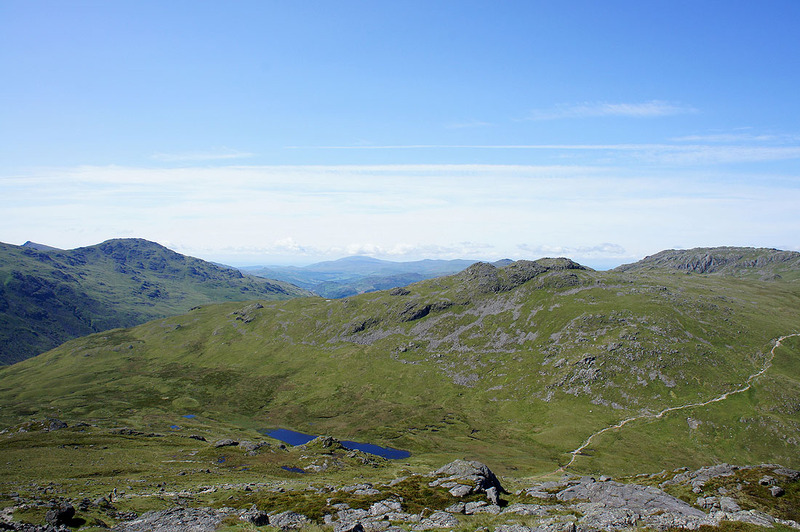 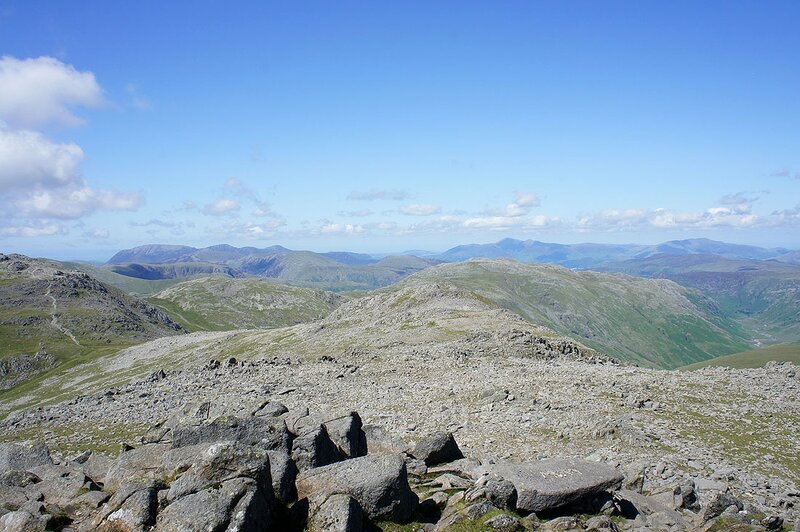 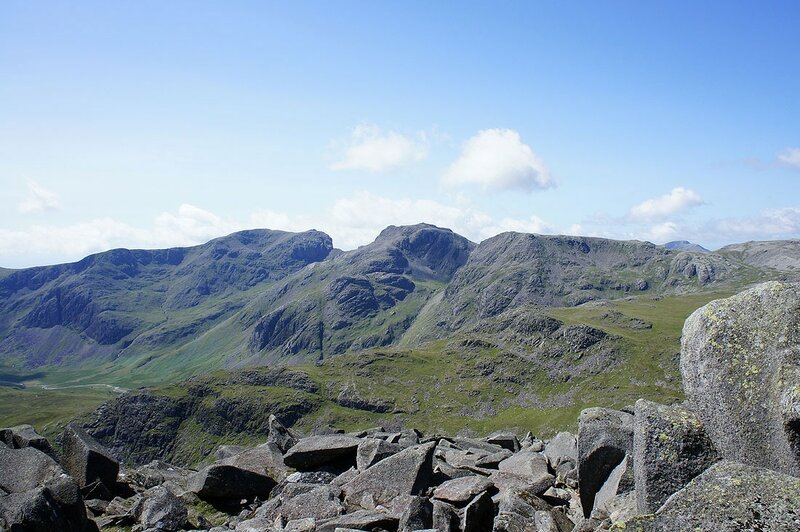 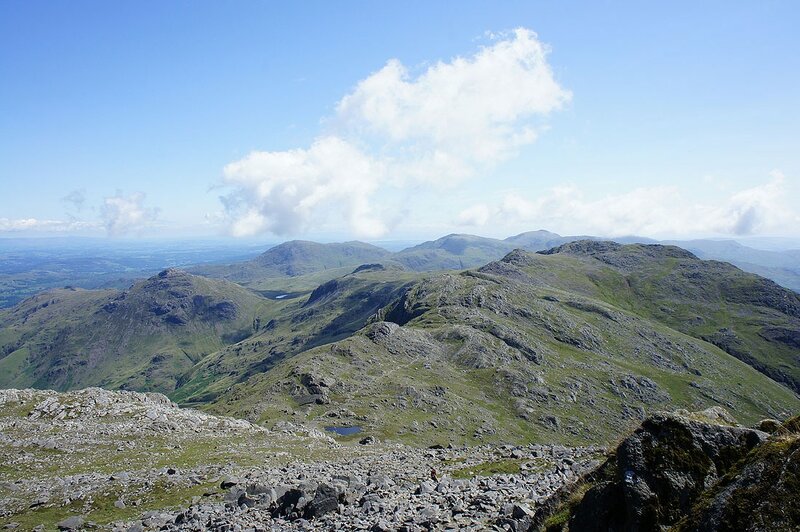 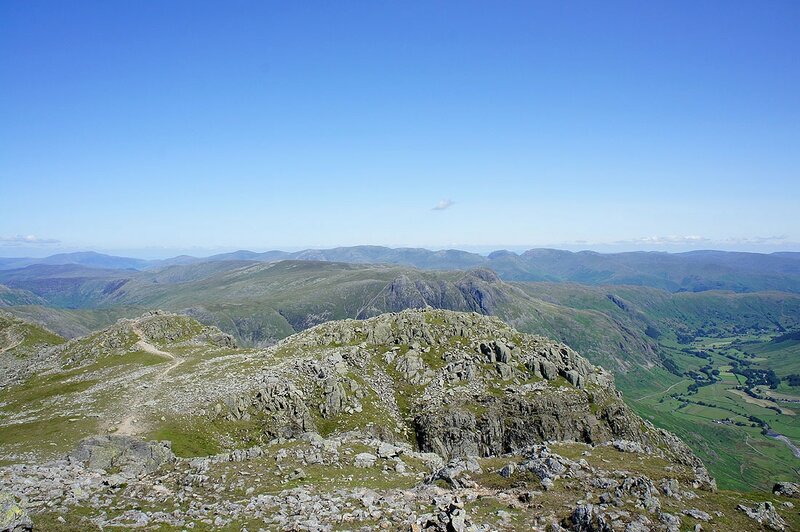 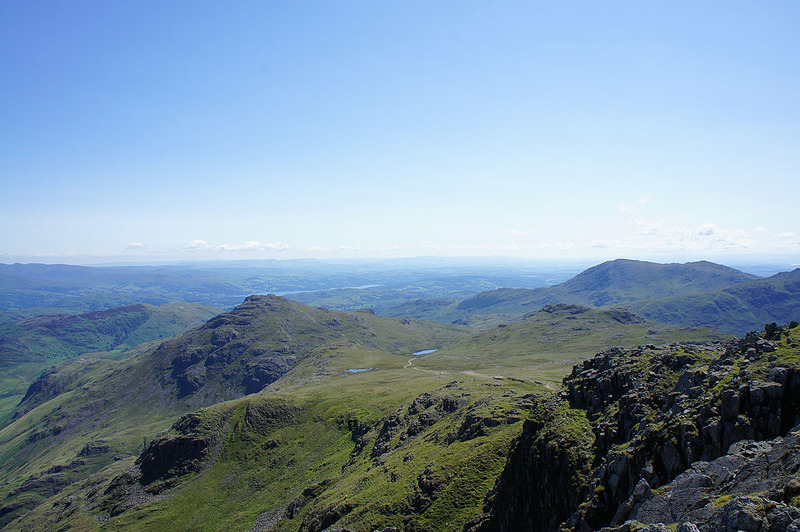 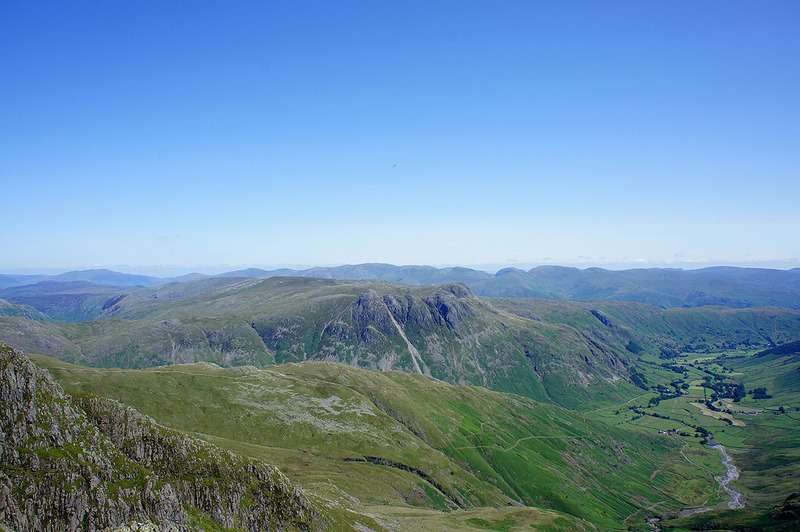 From Three Tarns I went to the top of Bow Fell and back down before heading back to Langdale by The Band. 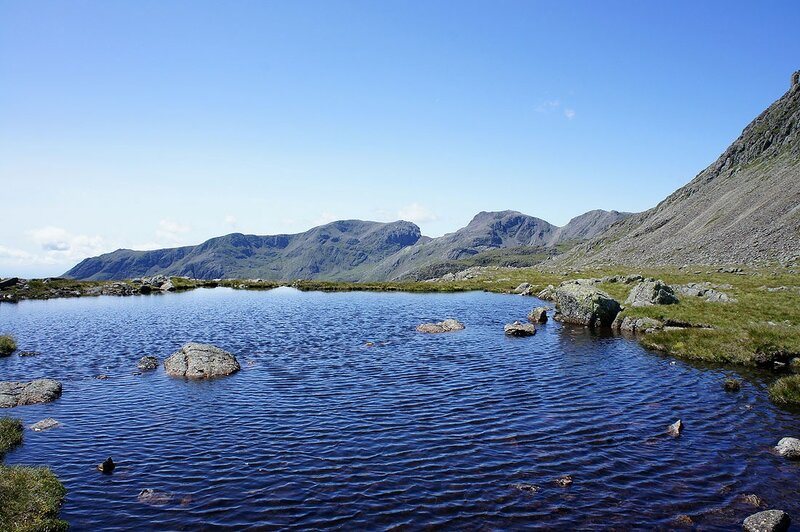 A view across Red Tarn to Cold Pike. 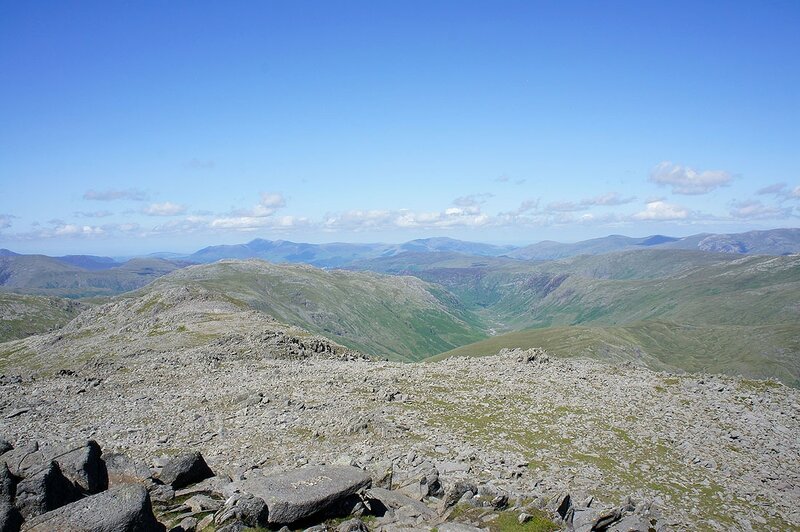 Black Combe can be seen in the distance. 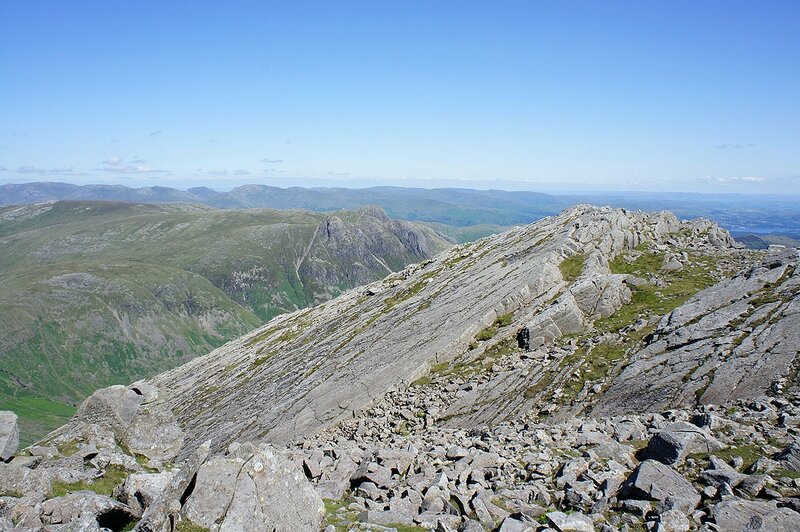 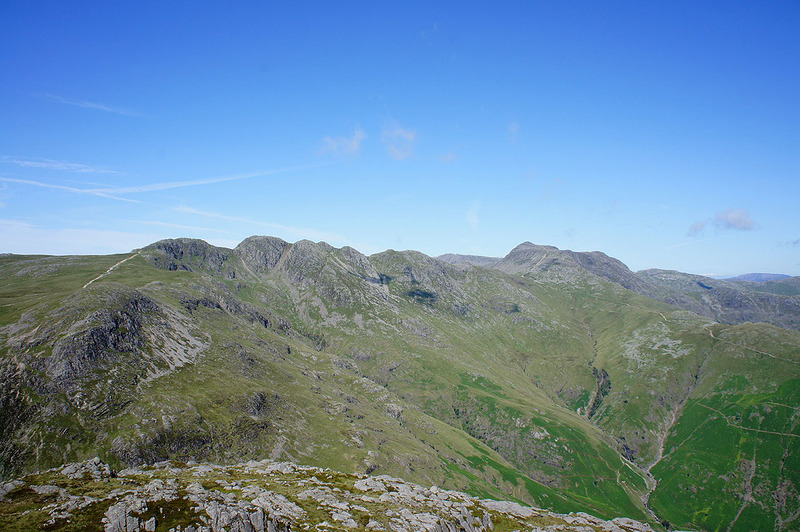 On the fourth Crinkle. 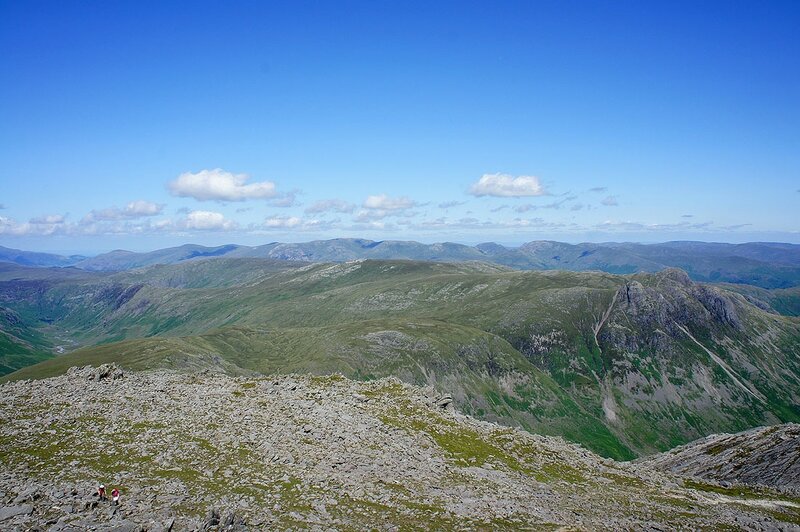 Skiddaw, Blencathra and the Helvellyn range in the distance. 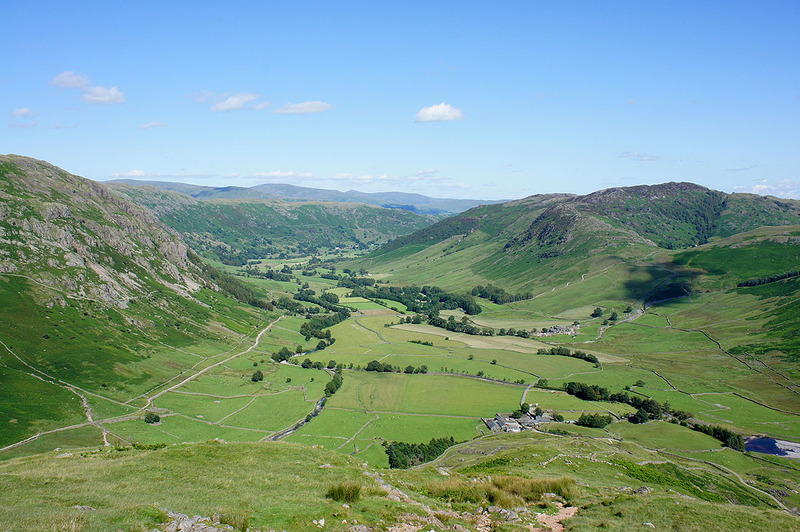 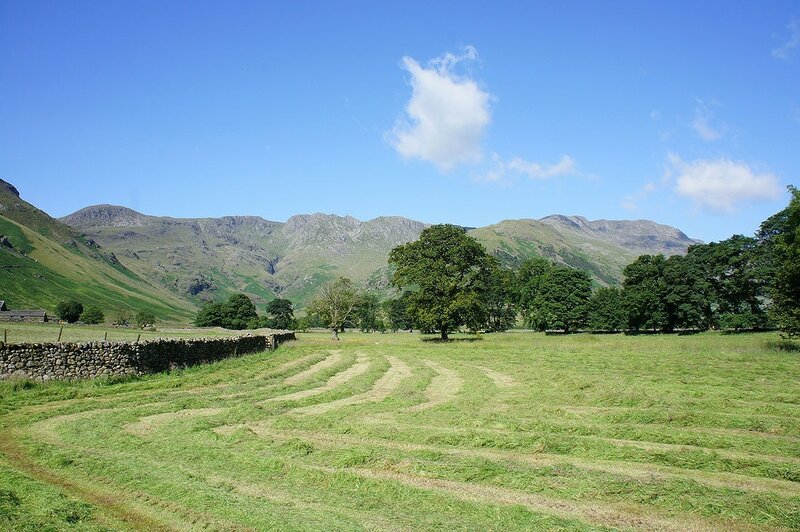 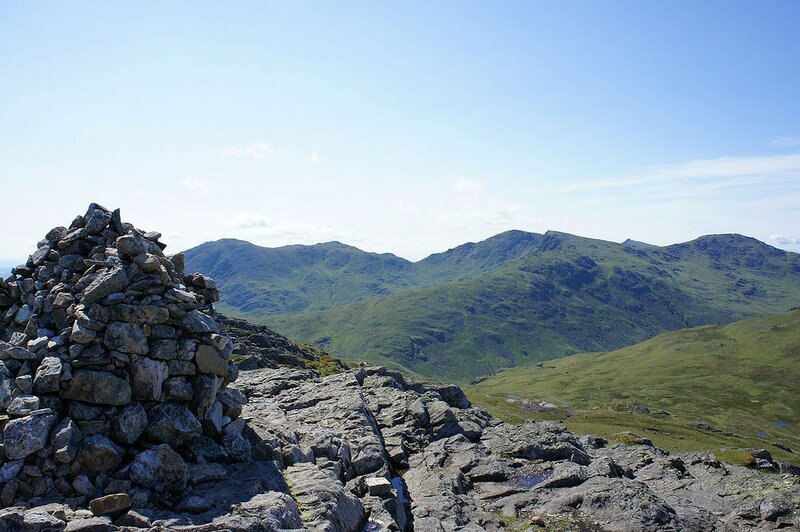 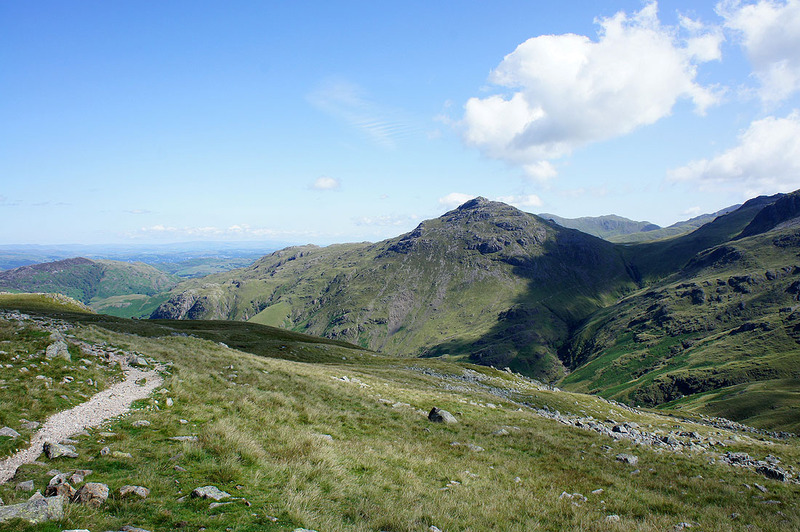 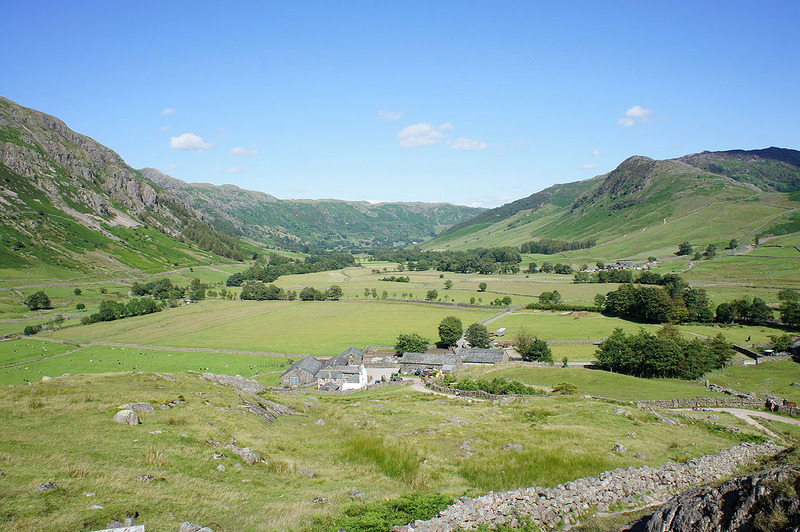 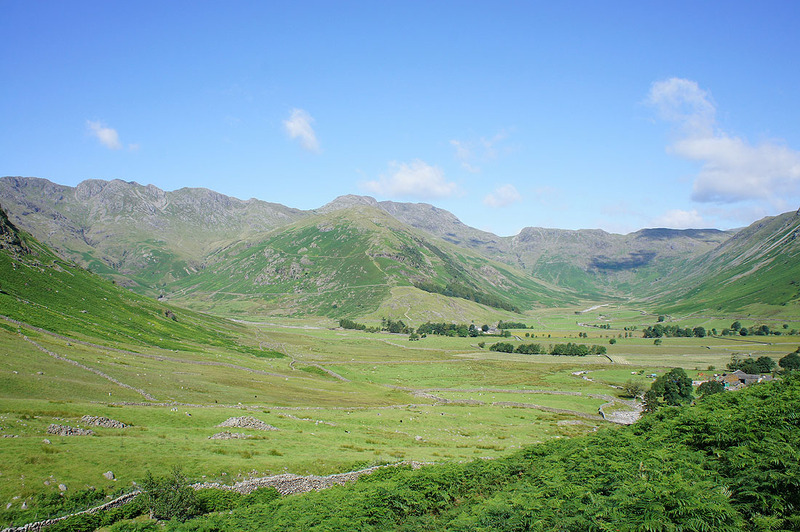 Eskdale. 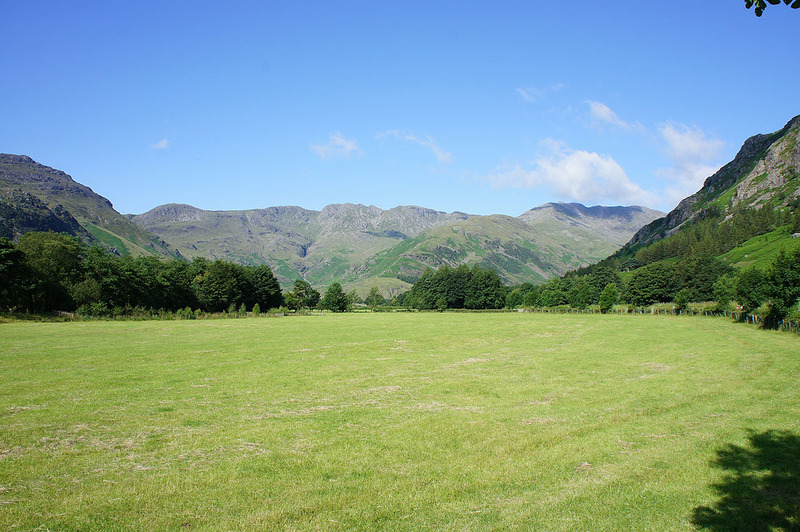 Black Combe has a cap of cloud. 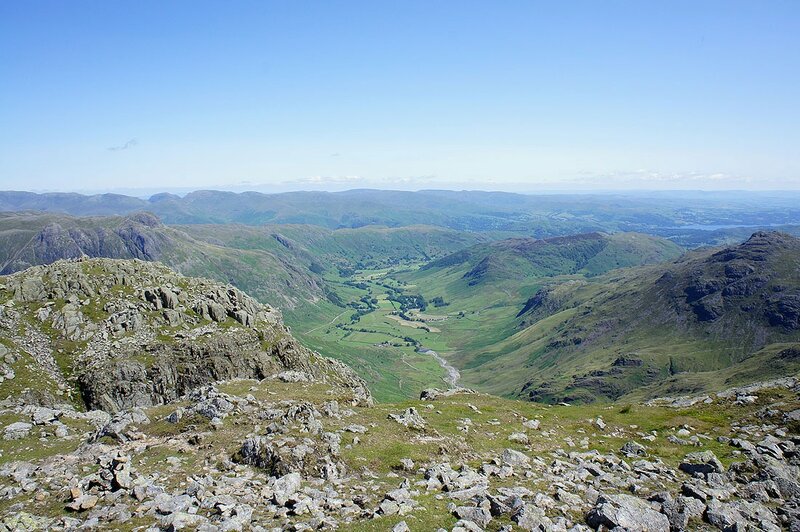 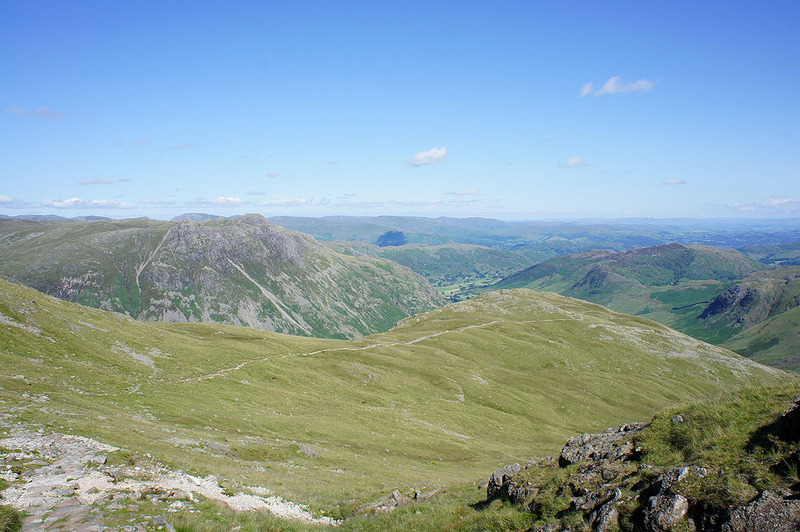 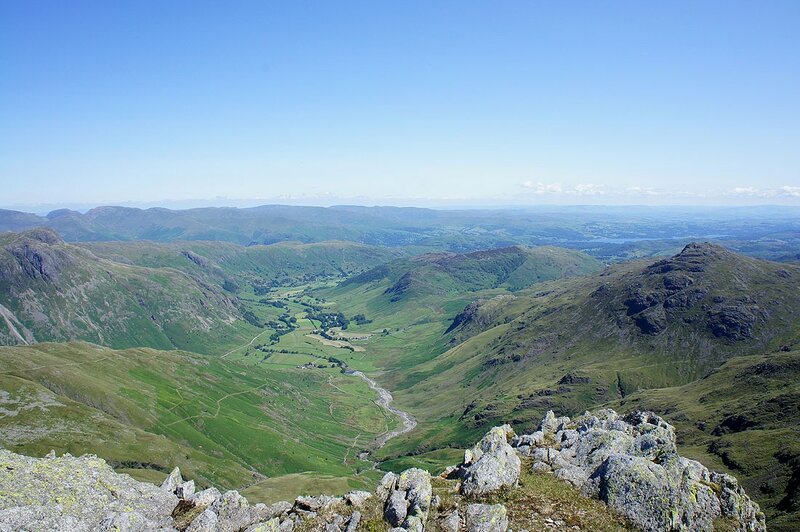 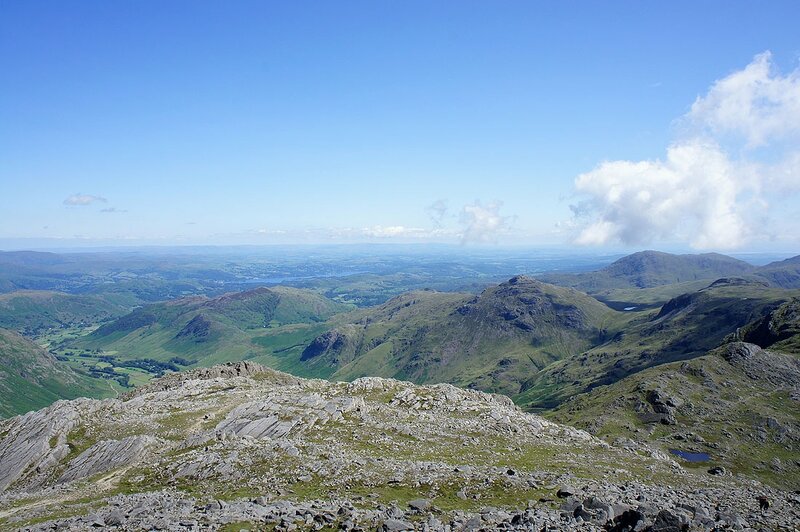 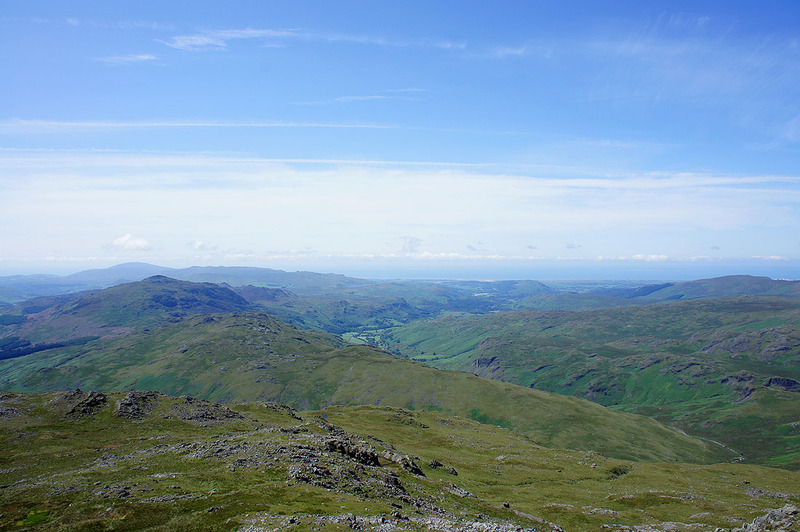 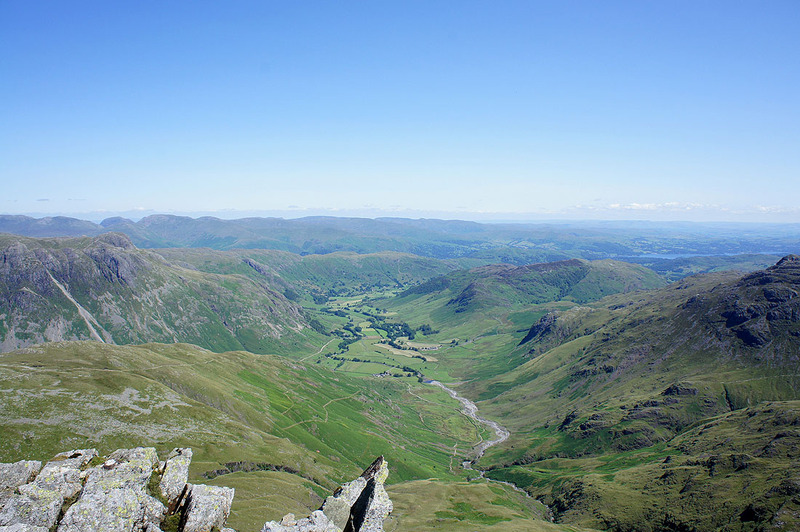 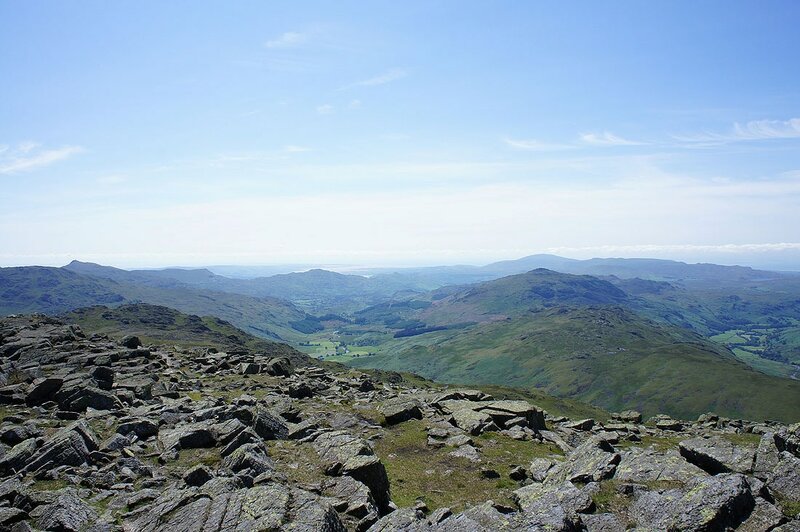 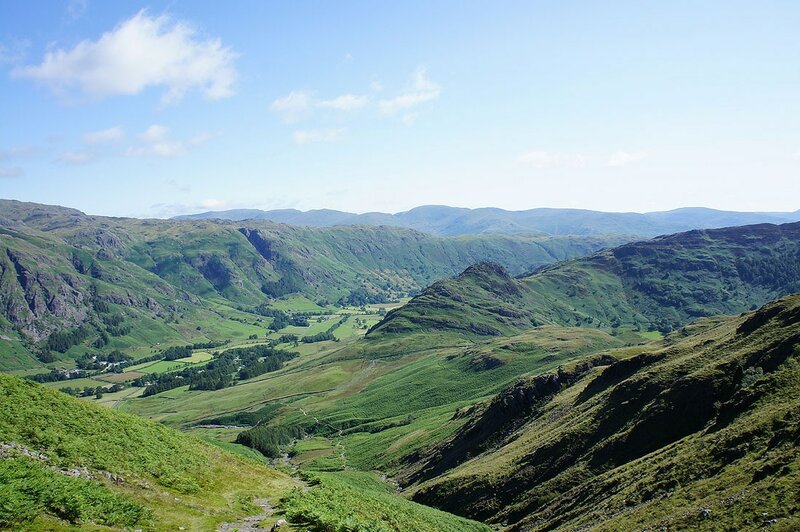 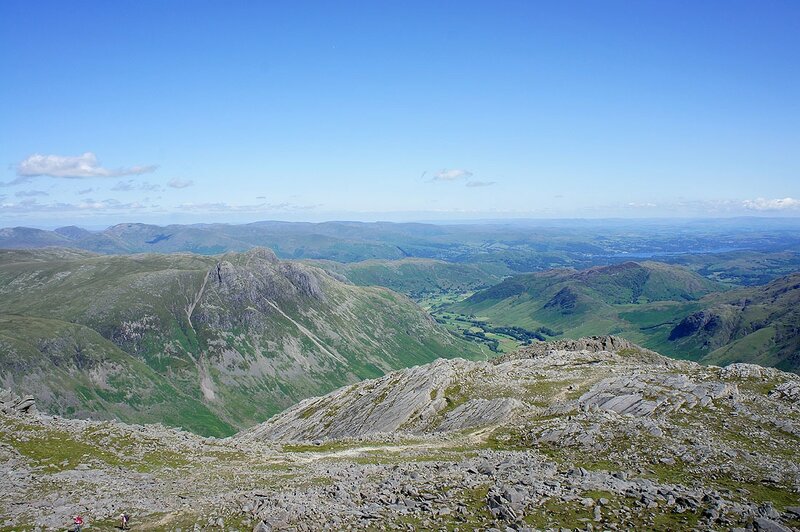 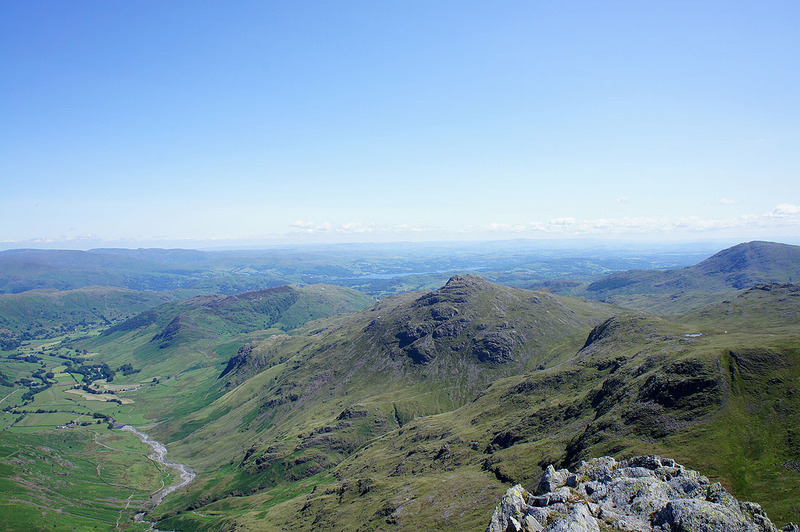 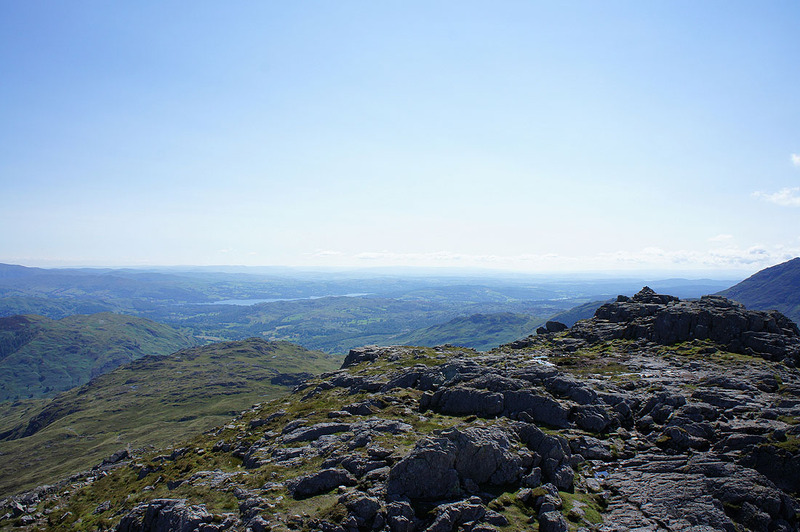 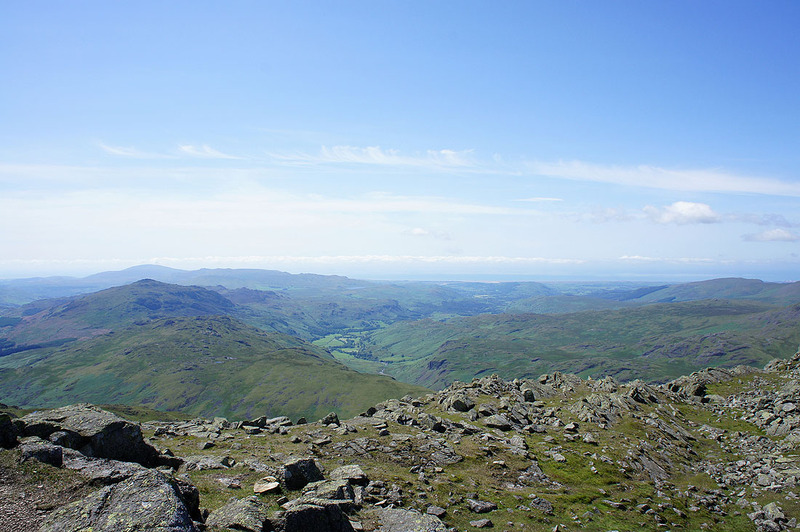 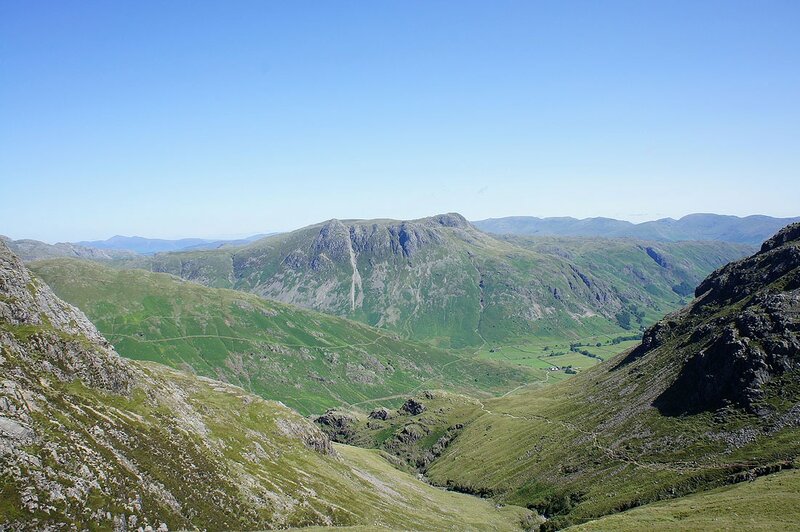 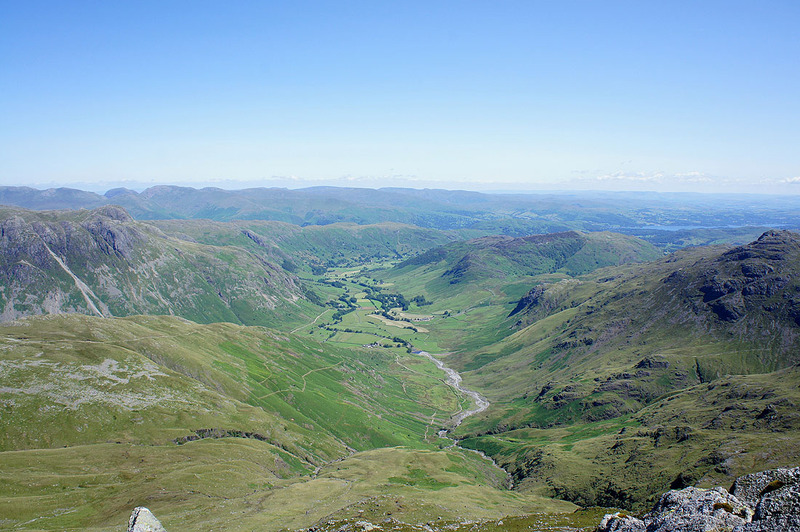 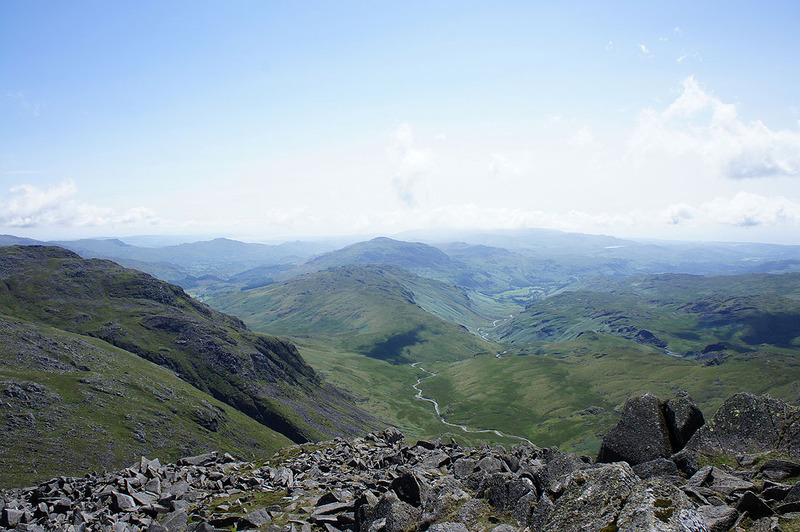 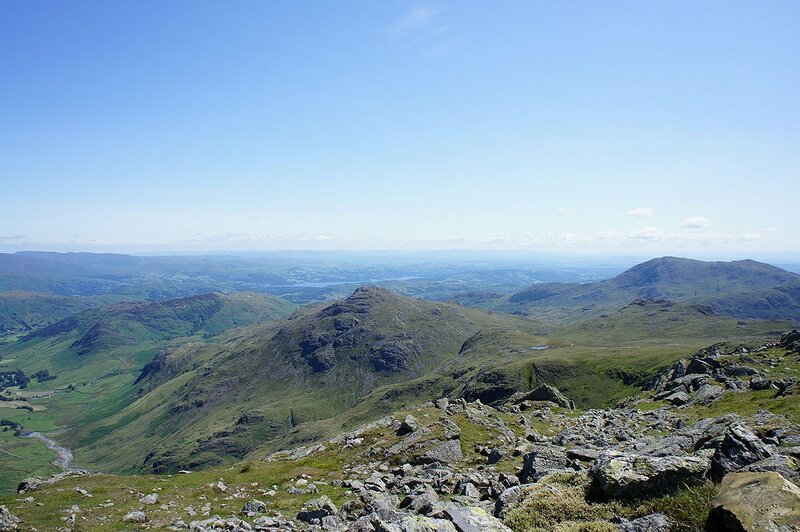 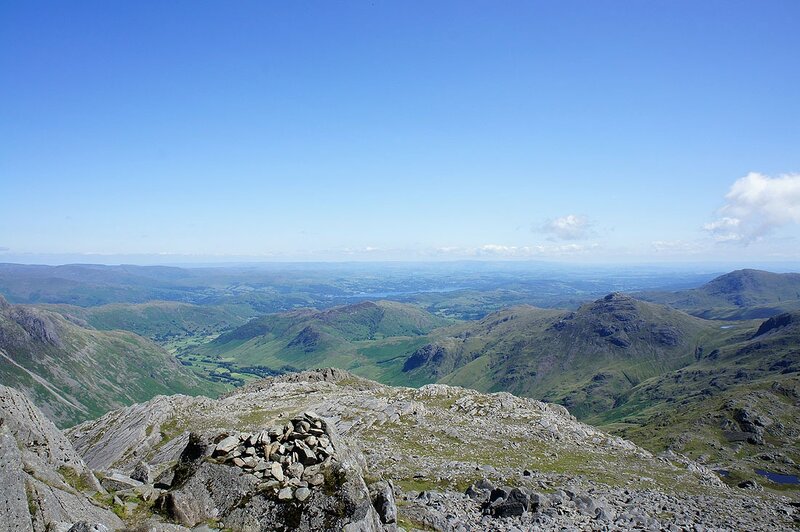 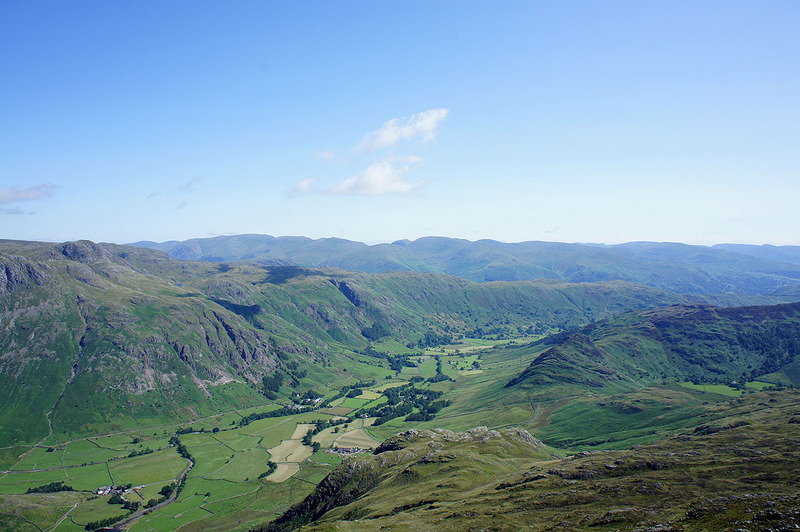 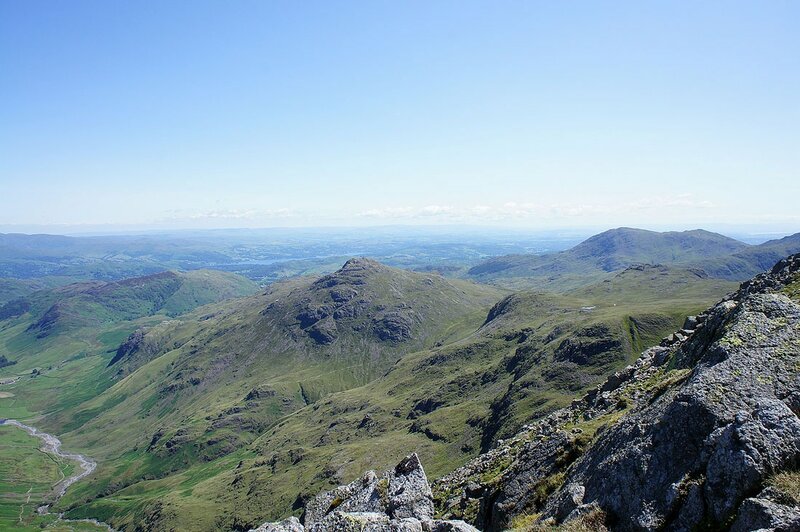 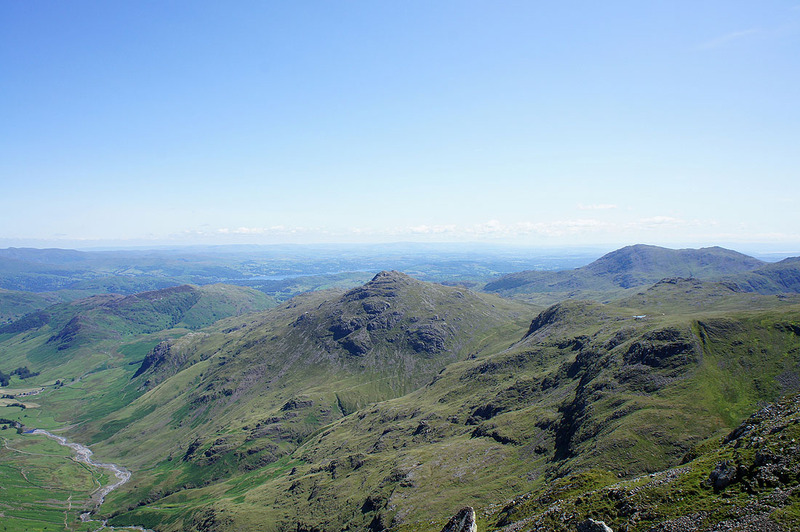 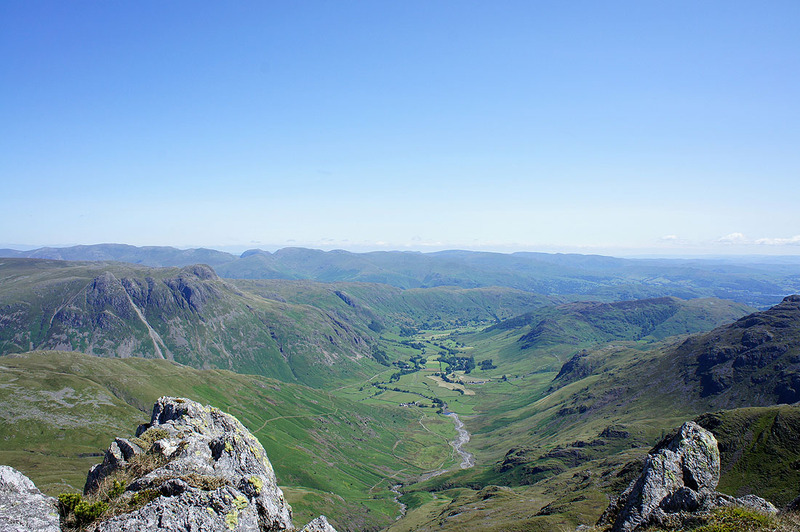 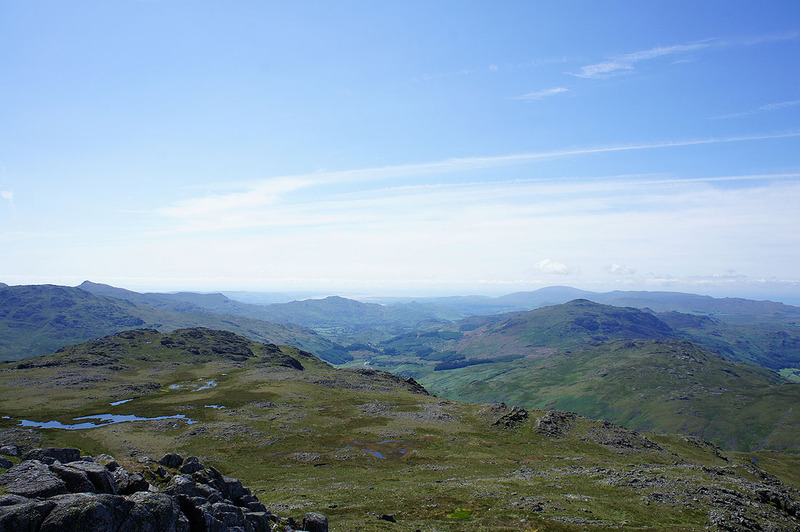 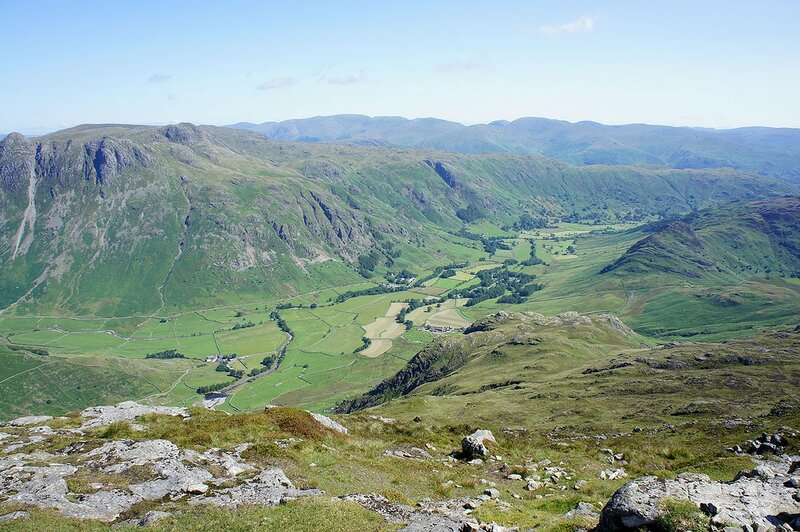 Views of Langdale as I make my descent down The Band..